China’s independently developed fast suspended monorail train, also known as the sky train, has been produced by Beijing-based CRRC, the world’s largest supplier of rail transit equipment with most complete product lines and leading technologies. Production of the new train has entered the pilot phase. 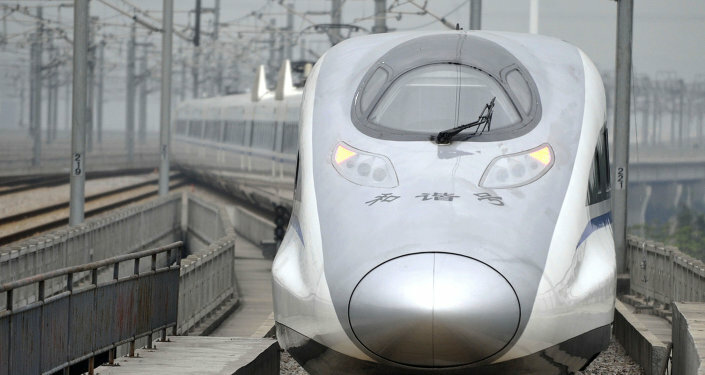 The train has a projected speed of 80 kilometers per hour, rivaling that of metros. "Bearing large power and light weight, the train possesses gradability three times more than ordinary subway cars, which makes it a perfect vehicle for transportation in the moutainous city," noted Liu Yuwen, deputy director at CRRC’s technical center. In addition, various devices have been installed to ensure the safety of passengers. The suspended monorail train, a unique means of transport with advantages over subway cars in lower cost, shorter construction period and less influence on ground transportation, has huge market potentials.